Custom rectangle metal spinner keychain favors for wedding –black makes an awesome wedding favor at cheaper price. You can amuse, entertain, and enthrall your guests by handing out these spinner keychain tags. 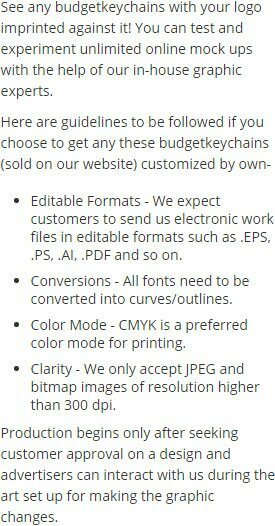 This key tag creates impression with its metallic charm, spinner, and sturdy key ring. You can laser engrave your names and initials on the spinner prior to gifting. Save on bulk orders of this wedding favor metal spinner keychain. Offered in many other attractive colors, you can easily find the one, which appeals you both and may appeal your guests, too. 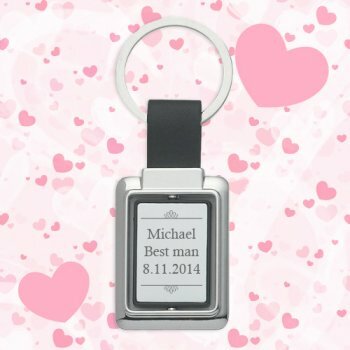 Request a quote to know savings that you can pocket on bulk ordering these customized rectangle wedding keychain favors metal spinner-black. Features –Black rectangular spinner with strong swivel key ring. Engraves for sophisticated look and feel.